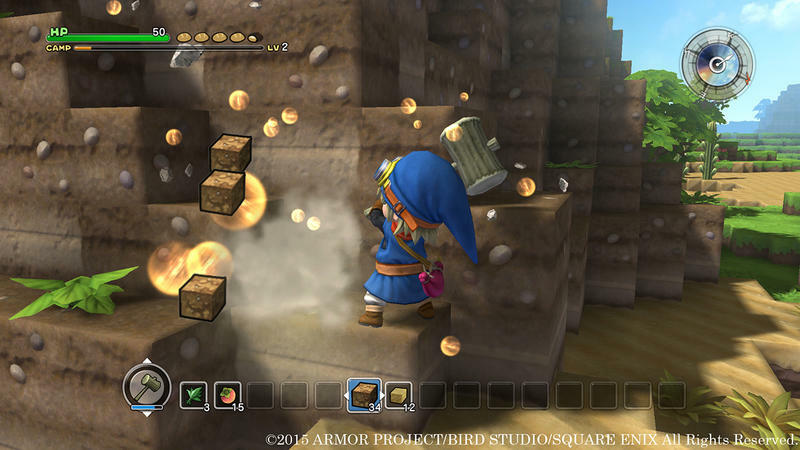 We all knew the inspiration for Dragon Quest Builders from the very first screenshot. Totally Minecraft, right? Well, with three more screenshots, our suspicions are all but confirmed. If this isn’t a Minecraft clone, I don’t know what is. The three new screenshots are pretty telling in their own right. In the first, our hero is digging away at a mountain, gathering resources. The menu at the bottom shows off what he is currently carrying and what he can make. The second screenshot shows our hero using those resources to build an adorable town alongside townspeople. The third and final new screenshot confirms that the classic Dragon Quest monsters will be making an appearance as well. 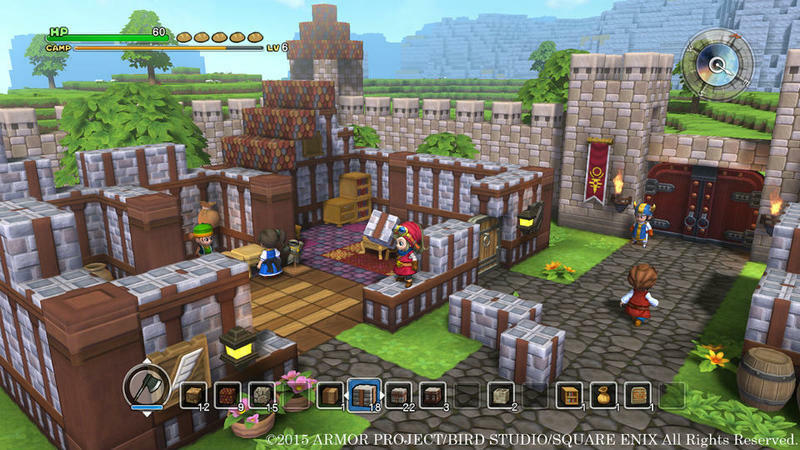 My guess is that Square Enix will try to differentiate this from Minecraft through the combat. It looks like our hero is dropping spikes, probably hinting at a tower-defense style system, keeping monsters away from your creations. Either way, I like what I see. It might be a Minecraft clone, but I’ve never been that into Minecraft. This might be the way to get me involved. Dragon Quest has a history of taking a popular trend, singling out what makes it fun, putting a Dragon Quest spin on it, and owning it as its own, even if it is only successful in Japan. 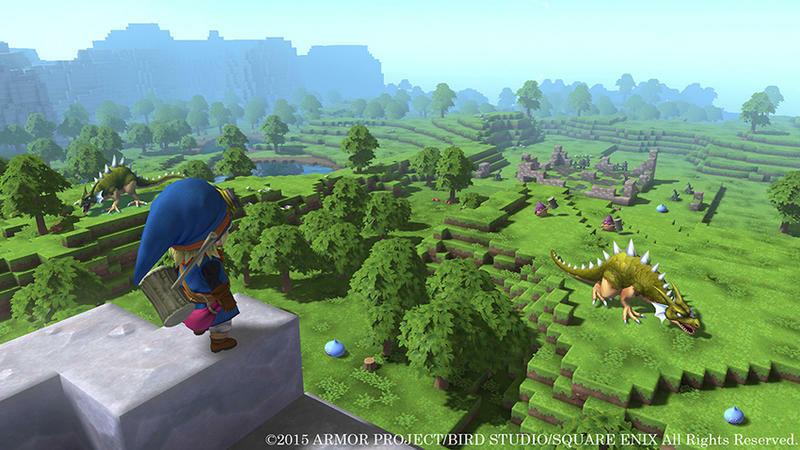 From rougelikes and Pokemon to Musou-action, history has proven you can’t dismiss a Dragon Quest game just because it looks like something else that is more popular. 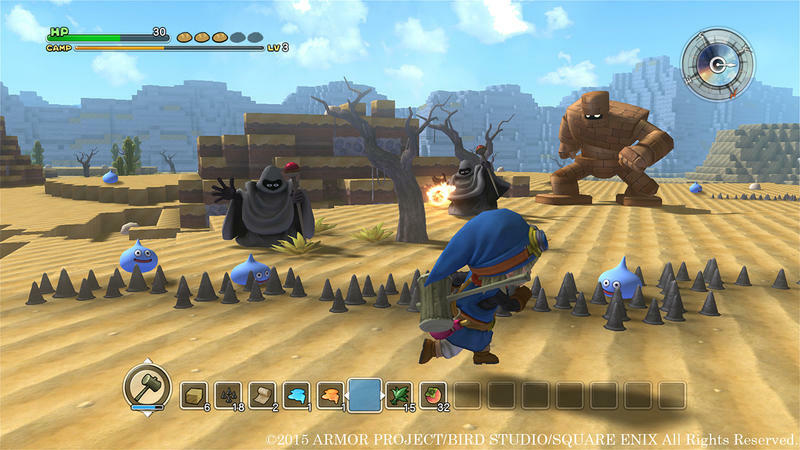 Dragon Quest Builders will be released in Japan for the PlayStation 3, PlayStation 4, and PS Vita. No localization for the English speaking world yet, but don’t hold your breath.